﻿ Intracranial Stent System-Intracranial Stent System-Shanghai Crown Medical Instrument Co.,Ltd. The system is indicated for the treatment of intracranial stenosis.The stent is made of grade 316L stainless steel by laser-cutting. 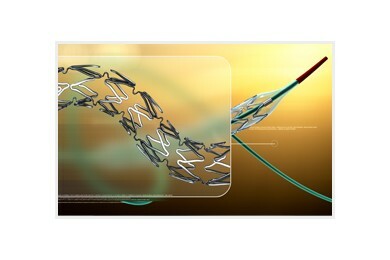 Stent structure is especially indicated for the anatomic features of intracranial vessels, achieving a perfect combination of radial strength and flexibility.The Rapid Exchange delivery catheter with 1450mm in length is designed to pass complex tortuous vascularity, presenting excellent trackability and reachability. Sine Wave open design with strengthening ring ensures outstanding radial strength. Couples of "n-link" presenting "nxzshape" connection in space ensure perfect flexibility in expansion and effectively compensate axial shortening. Stent is designed with lower metallic coverage and homogeneously distributed oillets to avoid interruption to side branches. Unique mirror polishing technique provides superior surface which guarantees an extraordinarily low thrombogenicity. New PUFF crimping technique ensures excellent stent retention and decreases crossing profile. NUnique soft-tip design ensures superior Crossability and trackability also for complex tortuous vascularity. Flexible and pressure proof balloon material provides an ideal controlled low pressure compliance and offer the right dilatation force for post stent dilatation which avoids damage to intracranial vessel due to overexpansion. Radiopaque markers on both ends of the balloon ensure precise positioning.